In an era of complex and interrelated risks, organizations are recognizing risk management as a corporate function that motivates an enterprise-wide understanding of risk and encourages commitment to the discipline of risk-based decision-making. Risks have varying impacts on an organization’s sustainability. At the forefront of defending the risks— especially within the financial institutions and insurance companies—is Enterprise Risk Management (ERM). An efficient risk management program serves as the first defense when covering the firm’s assets. Using an ERM framework, the management can assess and survive the risks by preparing for adversity or seizing opportunities. In addition, employing an ERM framework in day-to-day management of the businesses enables organizations to fight against deflationary pressures and liquidity crisis. With the vast number of players in the ERM landscape today, it is a difficult task for the CIOs to choose the best vendor who is at the forefront of providing comprehensive risk management solutions. 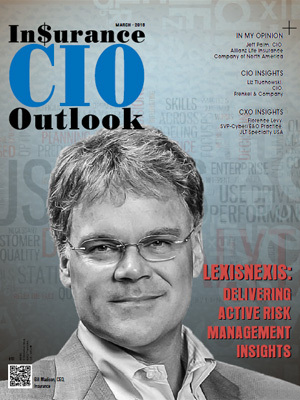 To help CIOs and CFOs find the right ERM solution provider for their enterprises, a team of prominent CEOs, CIOs, VCs and analysts, along with the Insurance CIO Outlook editorial board has evaluated the best players from enterprise risk management solution providers. The companies featured here demonstrate an ability to develop innovative technologies and outstanding customer service. In our selection, we looked at the vendor’s capability to fulfill the burning need for cost-effective and flexible risk management solutions. We present to you the Top 10 Risk Management Solution Providers 2016.